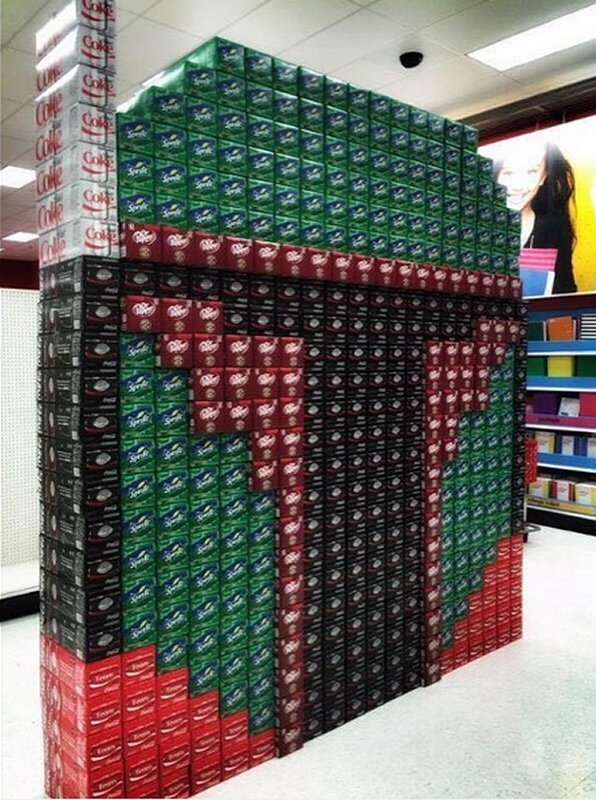 Boba Fett Soda Display: He’s No Good to Me Diet! This is definitely how any in-store soda display should be laid out. I don’t know who did this or whose idea it was, but if he or she does not become employee of the year, something is very wrong. That would be a great retail injustice. Apparently, this was done at a Target store. They have been doing an amazing job marketing the new movie and the new toys in various cool ways. Great job, guys. Like Luke against the Death Star you have stayed on target and blown it out of the sky. Let’s just hope that the cans aren’t as dented as Boba Fett’s armor.